​The NorCal Player Development Program identifies, develops, and showcases the top motivated and talented players in Northern California. LEARN MORE. The Olympic Development Program is a national process for identifying and developing the best youth soccer players. The process promotes players to the U.S. National Teams, which represent the United States in international competition, such as the Youth World Cup and the Olympics. LEARN MORE. San Francisco Elite Academy players are encouraged to try to make local, state, regional and national PDP and/or ODP teams. These programs provide additional top-level training opportunities and a chance to compete against and with other talented players. They also allow players to be spotted by national coaches as well as scouts and college recruiters. At the discretion of both a player's team coach and our respective boys or girls Director of Coaching, a player may be nominated for a PDP and/or ODP tryout. The club's policy is to support those players should they make the team so long as the commitment does not interfere with their primary commitment to their SFEA team. From time to time, exceptions may be made on this when regional or national PDP or ODP events are being considered. 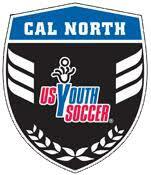 Our club currently has 27 players in the pool of the PDP program, and 13 in ODP. No other local club comes close to SFEA in terms of numbers of players who have achieved invitations to these prestigious soccer programs. Additionally, many SFEA coaches are leaders and coaches in each. Congratulations to both our player and coaches for raising the bar yet again for San Francisco soccer! ​For more information please see the links to the left.